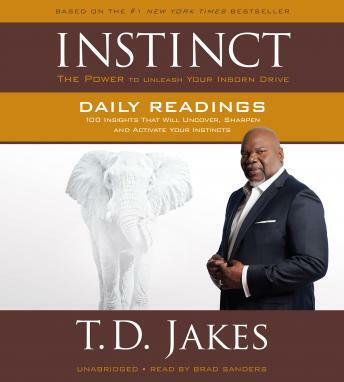 Bishop T. D. Jakes's Instinct was an instant #1 New York Times bestseller and is already transforming lives. Now, INSTINCT DAILY READINGS will help you unleash your God-given intuition day by day. Listen to and hear your own deep instinctive rhythm Recognize your God-given inner wisdom Embrace your instinct to define your own destiny These short, powerful messages will inspire you to use your instincts to become the person you were created to be, every day.